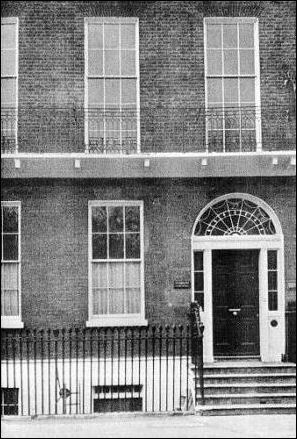 Ukrainian Bureau [Українське Бюро] – a Ukrainian information and lobbying centre which was active in London from 1931 to 1940. The Bureau was established in March 1931 by Jacob Makohin, a wealthy Ukrainian American, shortly after he visited Galicia, where he witnessed some of the consequences of the "Pacification" conducted in 1930 by the Polish authorities against Ukrainians in Galicia. It was part of a wider plan by Makohin to conduct an information and lobbying campaign in Europe aimed at gaining support for the Ukrainian national cause. Makohin’s efforts were supported by Ukrainian organisations in North America, in particular the Ukrainian Self-Reliance League of Canada (USRL, Soiuz Ukraintsiv Samostiinykiv u Kanadi). The Bureau was based in Grosvenor Place, London SW1, initially at number 40 and later (from 1934) at number 27. Its director from May 1931 was Vladimir Kaye (Kysilewsky), a Ukrainian from Canada. The staff also included, among others, Hugo Yardley, an English supporter of the Ukrainian cause, and a number of Ukrainian students from Canada. The Bureau was financed by Makohin and not officially affiliated with any political party or organisation, though Kysilewsky was believed by the British Foreign Office to represent the Ukrainian National Democratic Alliance (UNDO) in the UK. The Bureau gathered information concerning Soviet Ukraine and the Ukrainian minorities in neighbouring countries, and disseminated it mainly through the Ukrainian Bureau Bulletin which appeared at approximately monthly intervals from April 1931 until September 1939. The Bureau also published a number of booklets and pamphlets relating to Ukraine, including A Report on the Polish Terror. Poland and Ukraine: The Danger Spot of Europe (London, 1931), Polish Atrocities in the West Ukraine (London, 1931) and Facts about Ukraine (London, 1933). Between June 1932 and August 1939 the Bureau published 165 issues of a Ukrainian-language bulletin and disseminated it to the Ukrainian press in various countries. With the aim of organising a pro-Ukrainian lobby in London, the Bureau established contacts with members of parliament and other influential figures, and was instrumental in the establishment in 1935 of an Anglo-Ukrainian Committee (distinct from the Anglo-Ukrainian Committee formed earlier by supporters of the émigré Ukrainian monarchist movement). A number of questions relating to Ukraine were asked in the British House of Commons as a result of the Bureau’s activities. It was also involved in the formation of a committee, comprising representatives of several British relief organisations, which appealed for contributions to provide aid for victims of the 1932-1933 famine in Soviet Ukraine. The Bureau’s other activities included providing information relating to Ukrainian affairs in response to requests from the British press, Members of Parliament and other interested parties, and responding to requests from Ukrainian organisations and individuals around the world for advice or assistance in various matters. For several months in 1938 Stephen Davidovich assisted with the work of the Bureau, before establishing the Ukrainian National Information Service. The outbreak of the Second World War in September 1939 severely curtailed the activities of the Bureau. Makohin ended his funding for it and left Europe to return to the USA. For a while Kysilewsky continued to operate the Bureau as a representative of the USRL, but in May 1940 he finally closed it down and returned to Canada. Photo: 27 Grosvenor Place, ca. 1950.